Stress is the condition which a person undergoes when he has to deal with situations which are beyond his grasp. He is unable to cope with the impossible circumstances and develops stress. The definition of stress differs from person to person. What constitutes stress for one person might be a normal everyday occurrence for another. But it has been observed that most of us go through stress at various times of the day. It might be due to work or any other state of life. 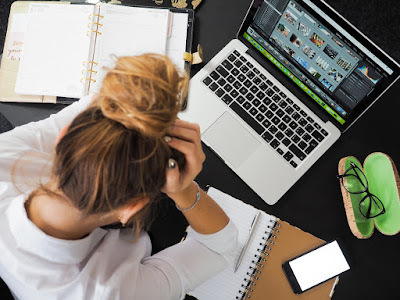 While most of us get used to dealing with stress in our everyday life, it turns out to be very difficult to deal with it in the long run. It might lead to awful conditions which are very harmful for us. For this reason, it is imperative to get self-help for stress management. Stress can be identified in many ways. There are many symptoms associated with it, the most common being headaches and muscle pain, dizziness and sweating, nausea and bowel problems, thudding of heart and a shaking of the entire body. You feel tense and very much wanting in self-esteem. This will lead to feeling irritable and wanting to become a typical introvert. Memory seems to fail and you start drinking and smoking all the more. Severe problems of the heart, asthma, migraine and insomnia might also set in if the stress stays for a prolonged time. Self-help to stress management acquires great importance under these circumstances. Managing stress can have a very significant role in your life. You need to find out the situations or the conditions which trigger stress in your life. After recognizing them, you need to work on how to break free from them. In due course of time, you will get to prevent these stressors from affecting your life too. Drinking and smoking are not the solutions to stress; in fact, they make the situation worse. Self-help for stress management is indispensable and this is how you can do it. 1. Acceptance of the problem is the biggest step towards finding a solution. Half the battle is won if you accept that the situation is beyond your control. Difficulties arise in every person`s life and at this time, the support of friends and relatives counts a lot. Turn to them for advice. Let bygones be bygones and move forward in life taking a lesson from the situation. 2. Now that you have identified your stressors, try to avoid them and stay away from them. If you are away from the environment, you will feel less stressed. 3. It is very important to talk about your problems to someone who will understand you. Seek out a friend and let go of your feelings. 4. Take charge of your feelings. See if you can control your feelings related to stress. Inspire yourself by constantly reassuring that it is only a passing phase and you will emerge stronger from it. Try to develop interest in other things which will divert your mind from your problems. Exercising and eating a balanced diet is good for your system. Meditation will also give you respite. When your body and mind are at rest, you will never be stressed. Self-help to stress management is best for you. 5. Keeping an optimistic view will help you manage things better. If you always think with a negative attitude , then you will only be hurting yourself more. Try to think positively and defeat stress. 6. Take plenty of rest and have at least 6 hours of sleep. A body which has been rested will never be irritable and so will help you to recover fast. Learn to relax yourself and you will see that self-help to stress management will indeed make you a more complete person.